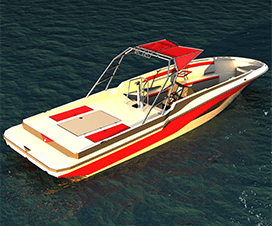 Shuttle boat is a boat suitable for carrying passengers between an island and the coast or between 2 points. 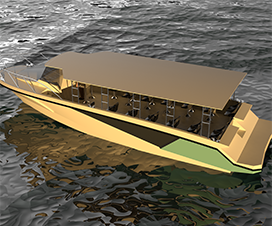 Shuttle 31, is designed for short-distance passenger transport. The Boat has 7 passengers, 1 captain, and 1 crew. 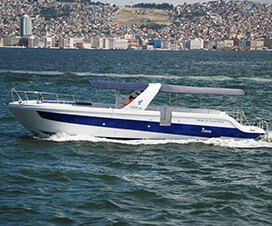 Shuttle 31 use with one inboard diesel engine. Especially, the road traffic in cities is unbearable, a vessel that may help you. 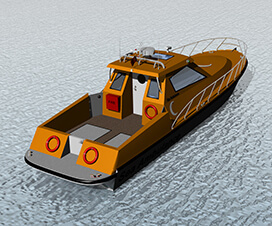 In the Strait of traffic service tool or can be used as water taxis.